What do you look for when shopping for a new TV cabinet? If you were getting a TV cabinet in the early 2000s, the main requirement was to have enough shelf space to show off your CDs, DVDs, or Blu-Ray disc collection. Then the iPod MP3 player changed all that. By mid-2005, people stopped buying CDs, and started loading their songs onto their portable players. The next thing to change was how we watched movies and TV shows. Instead of buying discs, we started storing our video files on portable hard drives, or plugged into our home networks. Then came video streaming in 2014. Services like iflix allowed us to stream a buffet of movies, cartoons, documentaries, TV shows direct to our smart TVs, making portable hard drives unnecessary. The changes above have caused TV cabinet to change, too. Instead of putting a blu-ray player, DVD player, and Astro set-top-box on your TV cabinet, you could replace it all with a single app on your smart TV. Our living rooms become neater, too. Having less appliances also means less remote controls all over the couch and coffee table. As a result, the TV wall cabinet today is more about style, and less about storage. The living room is usually the room that sets the interior design style for the rest of the house. So, it’s important to have a stylish TV cabinet design to “anchor” the look of the room. 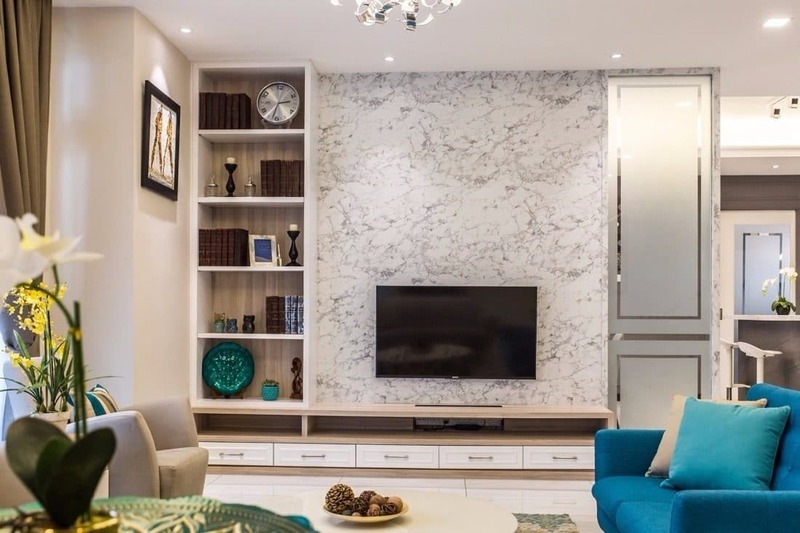 That’s why most TV cabinet today also incorporate a feature wall and display cabinets. Instead of showing off your ageing hi-fi equipment, you can display your artworks purchased from your travels, or your family photos, or even your Lego collection! 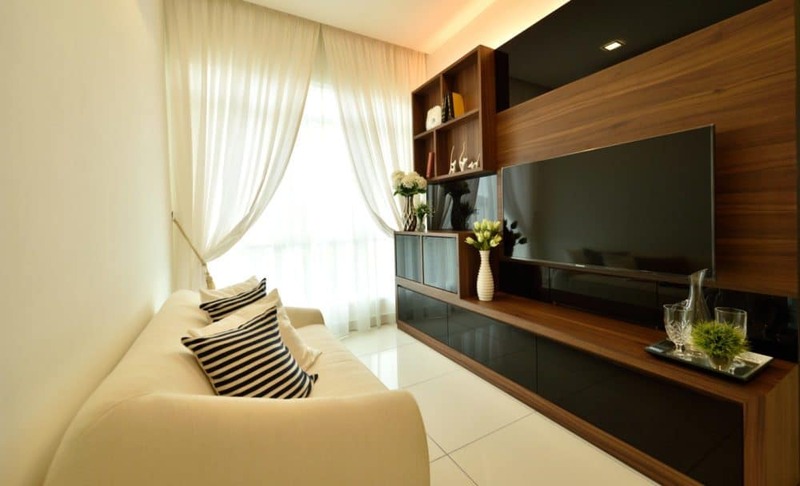 Take a look at this collection of custom-made TV cabinet, many of them from Malaysian homes. Sure, you could create something similar with an Ikea TV cabinet, but these are custom-made, so they fit perfectly within your room dimensions. And, unlike Ikea TV cabinet, many of these are feature wall TV cabinets, so you can wall mount your TV without damaging your room. And with a streaming service like iflix, you don’t waste any time surfing hundreds of channels to find something good to watch. You just pick and play the show you want immediately! Our designers at Recommend.my have created a selection of made-to-order built-in TV console designs for your home. 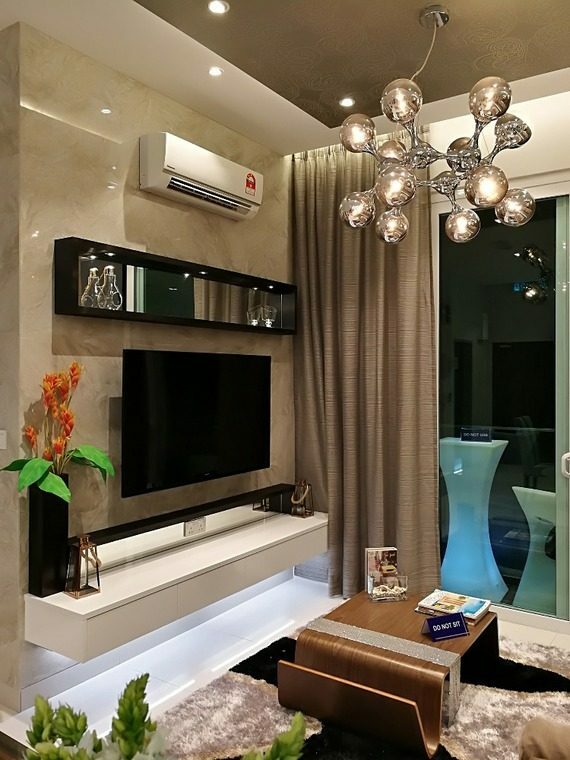 These designs start from RM2,400, and include delivery and installation, plus 36 month warranty. Visit Recommend.my and browse our selection of designer wall-mounted TV cabinets. Order the one you like and we will install it for free! 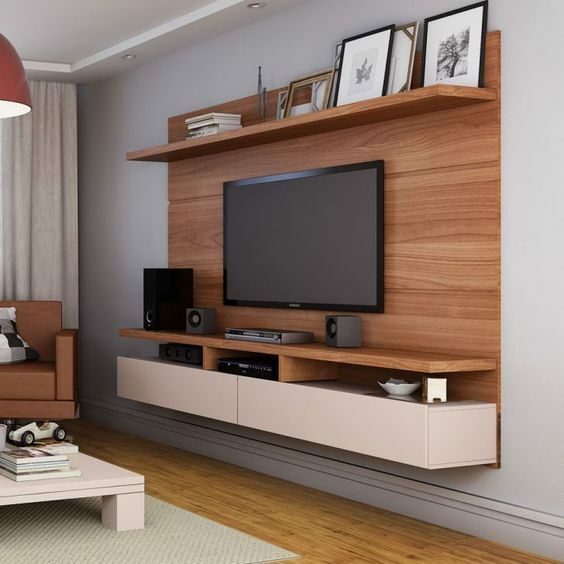 This TV cabinet incorporates a low cabinet, open wall shelves, and feature wall for mounting the TV. The black and walnut wood tones give a nice contrast to the off-white room, while the reflective black mirrored surface at the top of the console helps extend the ceiling. 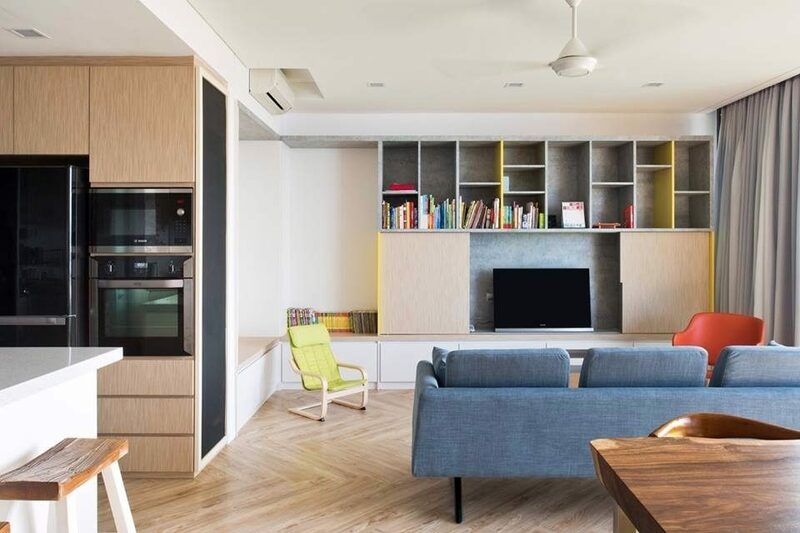 This studio apartment features a TV cabinet design with high open bookshelves with wall-to-wall knee-height display. Perfect for young couples to relax on the weekends! 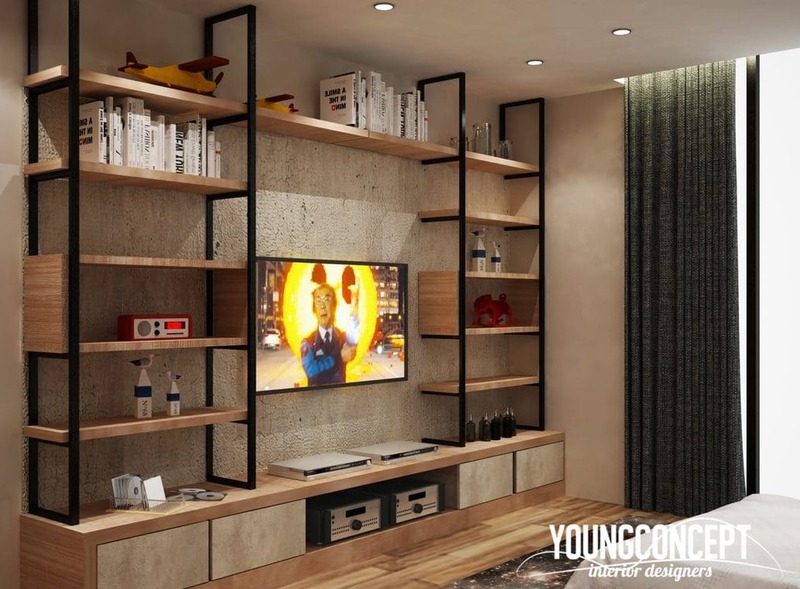 This TV wall cabinet design concept gives a slightly industrial vibe using steel powder-coated railings mixed with alderwood-toned cabinets. Great for displaying all the quirky items picked up from your travels! This wall mounted TV cabinet features a suspended low cabinet with a single wall shelf and closed wall cabinet. 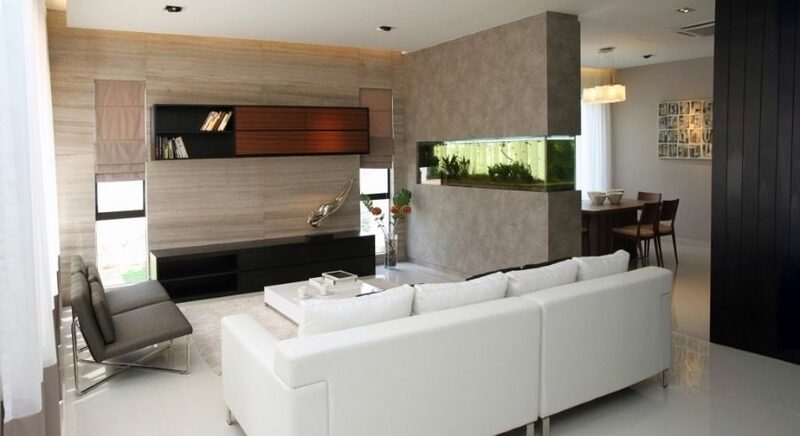 However, it perfectly matches the column dividers to create a partition from the dining and living areas. A mix of materials make up this wall-mounted TV cabinet. With light ashwood and white laminates, wallpaper with splatter pattern, and even a frosted mirror with clear outline thrown in for good measure! The super slim height drawers and open shelf is perfect for storing the latest newspaper or magazine. Suspended high off the floor, this TV cabinet is designed to be unobtrusive, yet makes an impact to the look of the room. Random wood-grain patterns on the feature wall give it an organic, natural look. 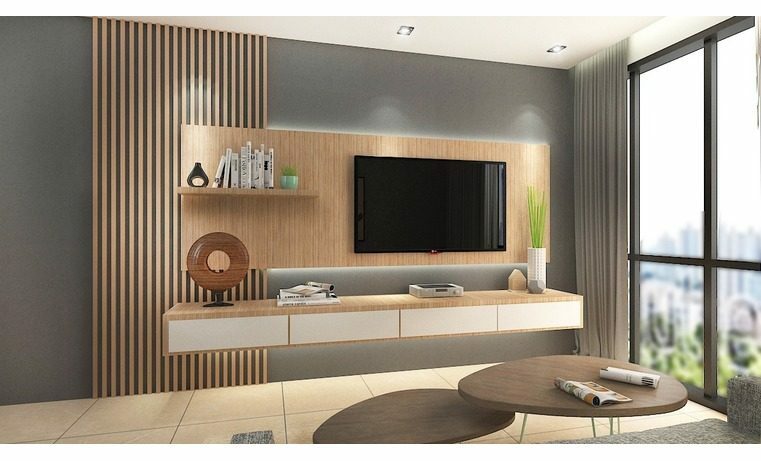 This small living room wall mounted TV cabinet is designed to have a shallow depth. The false plaster wall neatly hides the aircon ducting and TV wall mount bracket. The low cabinet is also suspended with under-cabinet lighting to maximise the limited floor space. 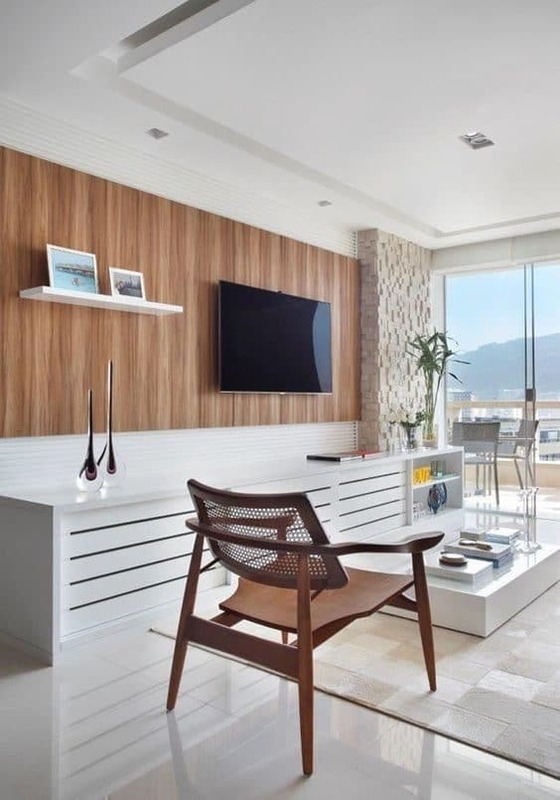 The vertical oak wood laminate pattern is matched with the horizontal lines of the low cabinet in this living room in Brazil. This gorgeous wall-mounted TV cabinet works for both wall-mounted or standing TVs. 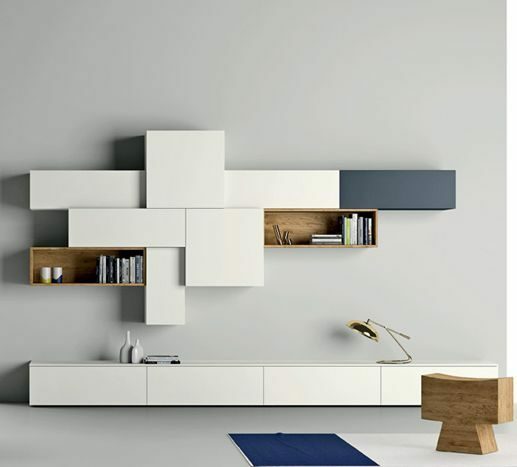 The rectangular suspended cabinet design incorporates display shelves on both sides. It’s like looking at a portal to a world of entertainment! 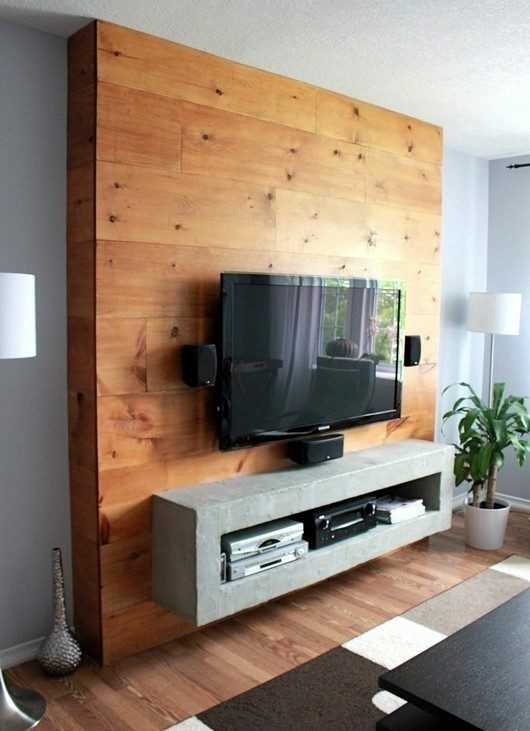 This simple wall-mounted TV cabinet design incorporates a thicker-than-normal feature wall in red oak panels. The organic wood grain is matched with a cement-toned suspended cabinet with similar thickness. 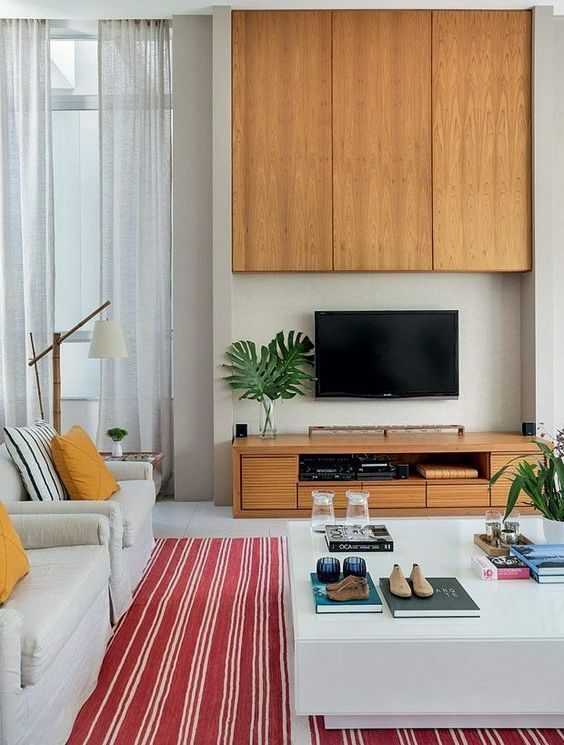 The bottom half of this TV cabinet may look like something you can get from Ikea, but it’s paired with a perfectly fitted wall cabinet that extends to the ceiling. A great way to maximise space! The owners of this house needed a custom-made TV cabinet to fit around the two tall windows in their living room. So the designers created a feature wall that covered the entire one side of the room and built a black and walnut-toned cabinet to match. 3D effect with varying cabinet depths. This TV cabinet is made up of individually stacked, mostly white wall cabinets. The cabinet depths vary to create an interesting mix of shadows for a 3D effect. You almost feel like you’re playing a game of Tetris! This stylish wall mounted TV cabinet provides plenty of display space with 4 drawers. 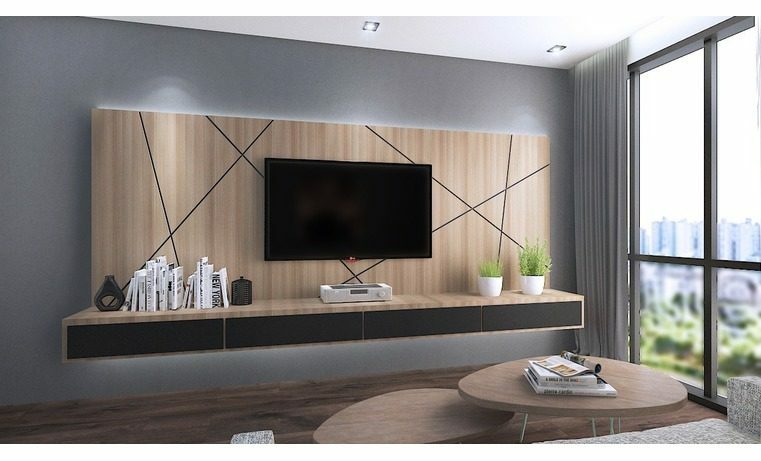 The feature wall backing comes with a unique groove pattern that lets you wall mount your TV, leaving counter space to show off your gaming console, artworks or even a potted plant. What would you watch from your new TV cabinet? 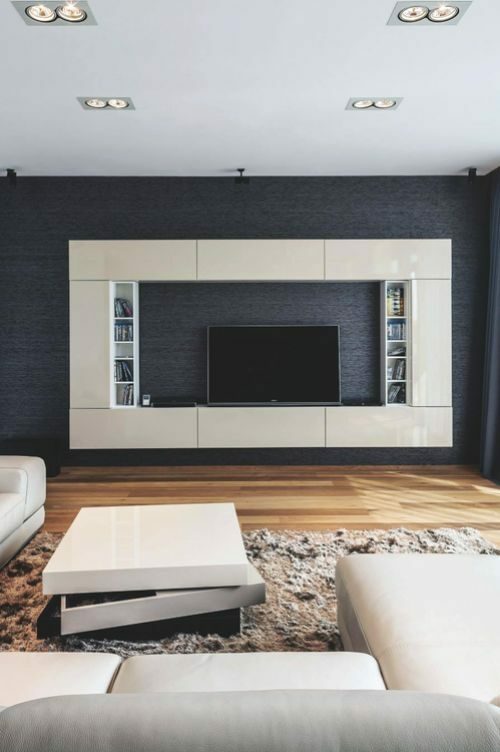 These TV cabinet designs are even more impressive when they are not cluttered with too many appliances. That’s why, to top it off, any great TV cabinet needs a streaming service like iflix.com. 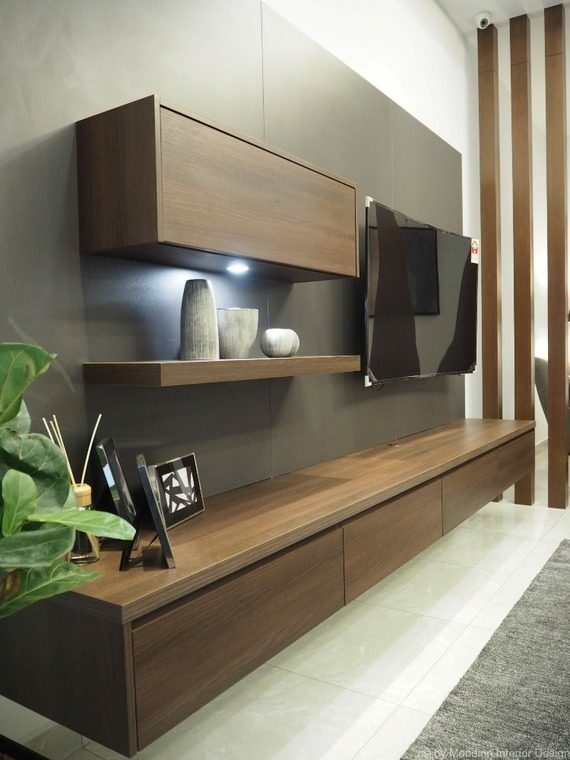 Imagine coming home from work and getting comfy in front of these TV cabinets, watching your favourite Korean drama, or catching up on the latest episode of your favourite US TV show. No surfing channels; no shortage of great content. Alex is a content marketer, geek dad, and digital marketing specialist. As the co-founder of the Recommend Group, he drives digital, content marketing and SEO strategy as well as product development. Prior to Recommend, Alex was a former coder and content director at a B2B agency for Fortune 500 tech clients. Hi Mani ok our team will contact you asap! Recommend.my is Malaysia’s #1 Home Improvement Site. Need a contractor? Visit Recommend.my to find the right pros for home renovation, interior design, home repairs and more.